The first book in a superhero series set in the 1950s US. The story starts in 1947 when Alice Seymour is 10. She lives with her mom and her abusive father. He’s a former soldier and apparently had traumatic experiences in a war and that’s why he beats his wife. Alice is afraid of him and spends as little time at home as possible. She hangs out with her best friends, Lionel and Marco. They all three also run away from the local bullies. One day, all changes. Alice’s mom is killed in a shoot-out at the diner where she works. Alice’s afraid to go home and instead spends the day with Marco’s family. When her father finally gets her home, he’s furious and starts to beat her. But suddenly, there are voices from nowhere. Then two people, young boys, burst in. One of them has shadows around him. They are able to beat Alice’s father and scare him so much that her father runs away. Alice’s mother’s sister, Aunt Diana, and her husband Logan take Alice to their home. Alice’s mother didn’t approve of Diana’s lifestyle as a business woman and so Alice doesn’t know Diana. However, aunt Diana and uncle Logan love her and give her a real home where she can read as much as she wants and she’s even able to go to college. When Alice is 21, in 1959, she’s just graduated with a business degree. Diana owns Atlas bookstore and she also runs various charities. When Aunt Diana is brutally murdered, Alice wants to get to bottom of why and who. She finds out more than she thought possible. 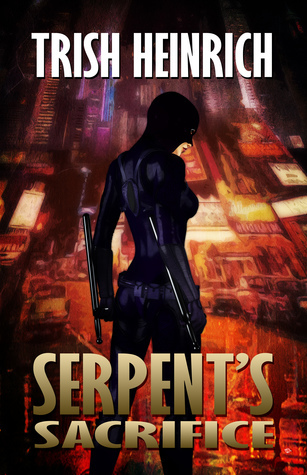 This is the origin story of the Serpent, a costumed vigilante who doesn’t have powers. However, Alice is a trained martial artist and has very durable costume and tranquillizer darts which she calls Serpent’s Bite. She started to train as a martial artist almost as soon as she moved to her aunt’s place because her aunt was a martial arts instructor and Alice never wants to be helpless again. But she gets the costume and advice from another person who used to be a superhero and is now advising Alice. Alice is a very determined and passionate person. When she comes to live with Diana, she’s determined never to be as helpless as she was in front of her father, and so she starts to train. She’s fierce and wants to protect people. She’s also frustrated by the limits that the society around her put on (wealthy) women. Most girls want to get married and become housewives, and Alice scorns them. She quickly gets a team around herself. American Steel is stronger and more durable than humans. His partner Shadow Master is able to hear people’s feelings and affect them. They are working as local vigilantes before Alice becomes a hero but later agree to work with her. Also, non-vigilante people help them. The three of them take down local thugs but also the local drug trade which turns out to be a lot more dangerous than they thought at first. In classic comics style, super powers are given a pseudo-scientific explanation, but of course they’re not really possible. I thoroughly enjoyed this book. It a lot of superhero elements and they’re used wonderfully. Because it’s set in the past, it also explores elements of racism and sexism; one of Alice’s friends, Rose, is a black woman and despite the fact that she’s brilliant, she’s not allowed to go to college. Also, Alice’s past isn’t just backstory; it comes to haunt her. The book had pretty much only one element which I didn’t care for: the love/attraction triangle between Alice and the two male heroes. She’s oblivious to their attraction to her and encourages both of them. The men are best friends but are jealous about Alice. They start out as quite protective of her but end up more or less accepting her into the team. 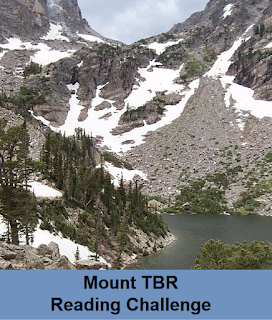 The book ends in a cliffhanger. Top 5 Wednesday is GoodReads group where people discuss different bookish topic each week. This week, the Top 5 Wednesdays topic is Favorite Fandom Items. Whether it’s something you own or something you are lusting after, what are some of your favorite fandom items/merch/memorabilia? Your picks don’t all have to be from the same fandom! These are my favorite things and I have quite a few t-shirts: Wonder Woman, Star Trek: TNG, Marvel Heroes, Sandman, Iron Man suit, Phoenix… I’m hoping that at some point I’d have the money to get long sleeved shirts with fandom pictures because I can only use t-shirts part of the year here in Finland. I also have Star Trek: TNG and Jedi Academy flat caps, and Batman, Wonder Woman, and Captain America socks. Specially, board games. Galactica, Star Trek, Star Wars, Firefly, Marvel Legendary, DC card game… I have loads of these. Next, I want the Buffy board game! I’ve also played some fandom computer games but today I’d have to have more powerful computer for the graphics alone. I love to get new mugs. I have Wonder Woman, Avengers, Ancient Egypt, Batman & Robin, and three Star Wars mugs. I used to have a fandom calendar for every year. LotR, Star Trek, Star Wars, even an Elfquest one year and a Buffy one. Last year I had a Marvel wall calendar. I also tend to save them and put some of the pictures on my walls. I haven’t found a good one for this year though: I think the only fandom calendar available here in Finland this year was Star Wars which had more pictures of the baddies than the heroes. I also have a couple of action figures (Kara Thrase, Finn, Scarlet Witch, the Wasp, and Vision). I’m sometimes tempted to get more but they’re just too expensive. 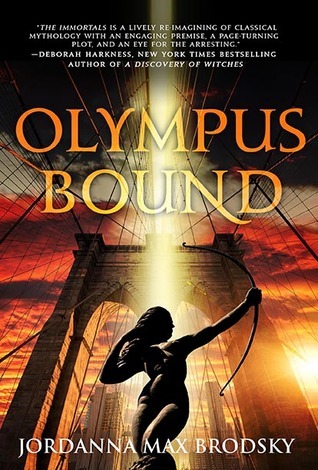 The third and final book in the series about Greek gods in modern times. The book begins six months after the end of the previous book, Winter of the Gods, which parted our heroes. Selene, the goddess Artemis’ modern form, is looking for her father Zeus. The king of the gods is almost powerless and enfeebled. He was kidnapped by the enemy who was revealed in the previous book. He wants to bring about an age of humanity by killing all the remaining Greek deities, so Selene’s whole extended family is in danger. The enemy’s also a Pater Patrum to a Mithraist cult so his has a lot of fanatical underlings to help him, but Selene isn’t alone, either. Flint (the modern-day Hephaestus) is with her. He apparently has been long in love with her but while she has been thinking that she should move on from Theo and form a relationship with Flint, she hasn’t been able to do so and doesn’t really want to, either. Flint is able to help Selene with both weapons and equipment and also with planning. Her former lover Theo thinks that Selene is dead, just like Selene wanted. She thought he would soon fall for a human and lead a happy human life, safe from immortal enemies. Instead, his experiences with the supernatural has made him think that he can bring Selene back from the dead. Unfortunately, that will mean his own death but he’s planning to keep that brief. Scooter, or Hermes, is helping him despite knowing that Selene is alive. Also, Theo’s best friend Ruth is reluctantly helping him. Selene’s quest takes her and her allies from the sewers of the Vatican to modern Greece. I really enjoyed the descriptions of the places and all the mythology and science which were part of the story. I’d love to visit those places someday. Throughout the whole series it was also fascinating to see how Brodsky had modernized the deities and made them, well, more palatable to a modern audience, Artemis herself especially. Selene muses a few times who she was different during the ancient times but doesn’t really want to return to that older self. She seems quite content to be the protector of women rather then a goddess who demands human sacrifices. The other goddesses and gods, too, are modernized and humanized in ways I rather enjoyed. I greatly enjoyed Theo’s circle of scientist friends: Ruth, Gabrielle, and Minh Lo. The new goddesses in the book are also a delight. Unfortunately, I really didn’t like how Selene treated Theo in the previous book and their relationship isn’t much better in this one. In the previous book, Theo wanted a relationship with Selene and pursued her even though she was cold and uncaring towards him. Now, Selene misses Theo and wants him back. I think she thinks more about him now than ever when they were together. It’s too much drama for me especially when paired with Flint, or Hephaestus’ unrequited love for Selene. She and the other deities don’t really have powers anymore, either. This was an enjoyable end to the series. 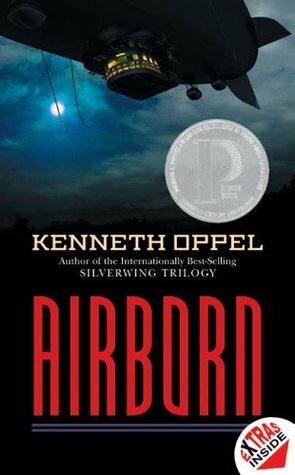 The ending especially was fast-paced and the book surprised me a couple of times. Top 5 Wednesday is GoodReads group where people discuss different bookish topic each week. This week, the Top 5 Wednesdays topic is Favorite Mash-ups. — You know those comp titles they list in synopses that read something like “perfect for fans of Harry Potter and Game of Thrones”! What would be some of your favorite mash ups, that would make you pick up a book? 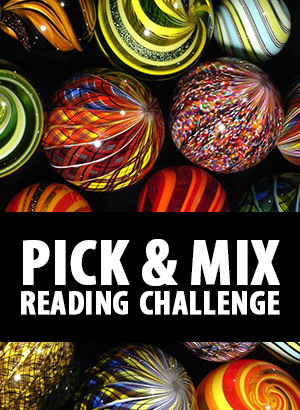 “A mix of ________ and ___________.” Remember, you can also incorporate games, tv, movies, etc. Get creative! I just love heist stories and there aren’t enough of them in fantasy and sci-fi. A group of (semi)pro criminals band together for a (big league) heist. So far, I’m only aware of Patrick Weekes’ Rogues of the Republic series. Anything else? Please! Now these are far more common. But I still think they’re more common in TV than in books. I adore Firefly and Farscape. Even Star Trek the Next Generation has a heist double-episode (Gambit 1 and 2). So, where are the books??? I’m, of course, extremely excited that Titan Books will be publishing Firefly books! First will be out in October! The steam engine was apparently invented in the 1st century in Roman controlled Egypt. 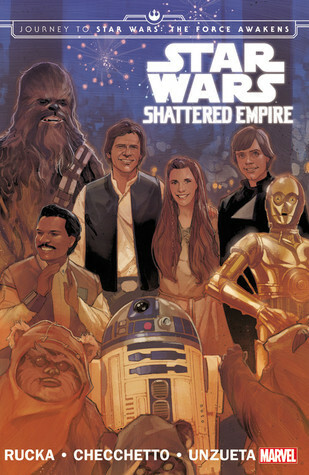 So, how about an alternate reality book (series?? Pleeeeeease!) where Heron’s invention spreads (instead of being squashed because apparently then there wouldn’t be enough work for the slaves which would lead to a rebellion. Bah.) and we get to see steam powered Roman airships. A grumpy/sarcastic person investigates strange happenings in downtown Alexandria. A female main character would have to be filthy rich / extremely well-connected / really clever but that would just be gravy and perhaps add some comedy. Urban fantasy is already well-established and they often have mysteries for the main characters to solve. But they tend to be focused on fighting so every now and then I’d like to read an Agatha Christie style mystery in a fantasy world. You know, a polite human detective that interviews the dwarf and the elf and the dragon in human form to find out just who poisoned the centaur. I know of Randall Garrett’s Lord Darcy books but are there others? 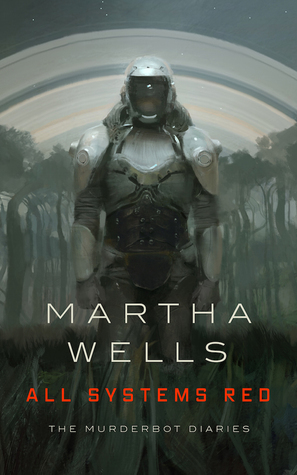 A science fiction novella where the main characters is a Murderbot. The story is set in a future time where humans have spread to several planets. The story follows a Security Unit, SecUnit, who is an android with both mechanical parts and cloned biological parts. It’s designed for security on various sites. Despite the fact that it’s (it doesn’t have gender nor sexual parts) clearly a thinking and feeling being, legally it’s the property of the company and not a person. SecUnit’s are called Murderbots and that’s what this SecUnit calls itself. It’s part of a contract to protect a group of seven humans who are surveying a new planet. Another survey group is set somewhat nearby (on a planetary scale). However, the Murderbot’s company buys all parts as cheap as possible so when things start to go wrong, at first Murderbot suspects equipment failure due to shoddy parts. The first anomaly is a huge lifeform trying to eat the scientists. Such a thing should not have been on the planet. Mapping is also faulty. Things escalate even though the Murderbot would rather sit in it’s cubicle and consume entertainment feeds. The Murderbot is the first person POV character. It has hacked the governor module which is supposed to order it to keep peaceful and to obey the humans. However, the Murderbot just wants to be left alone and watch the entertainment feeds. Everything it knows about interacting with humans it has learned from the feeds. It’s pretty nervous around humans and doesn’t want any face-to-helmet faceplate interaction with them. Face-to-face talk is even more awkward for it. However, pretty soon it doesn’t have a choice. This was highly entertaining and enjoyable read. Of course, the world’s background isn’t fully explained. The scientists are pretty reasonable people but want to consider the Murderbot’s feelings which it doesn’t want. Happily, there are more Murderbot stories on the way.